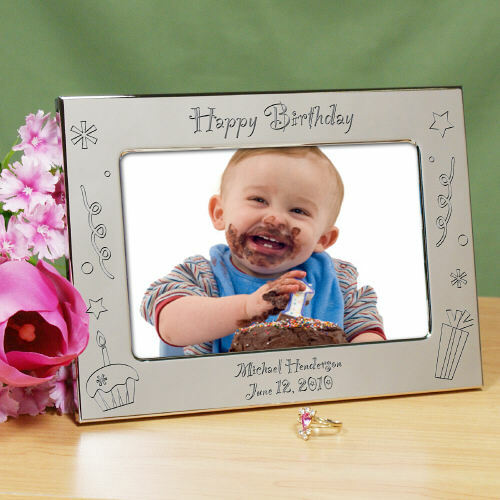 Celebrate a milestone birthday with our handsome Happy Birthday Silver Personalized Picture Frames. A unique and personal birthday gift which shows how much you truly care. Engrave your Silver Birthday Customized Picture Frames with any two line custom message. A beautiful frame...nice quality and much nicer in person. came out beautifully...everything looked great!! I love the frame!!! Very nice.